In April, the Centers for Medicare & Medicaid Services (CMS) began mailing new, more secure cards to Medicare beneficiaries. Beneficiaries do not need to do anything to get new cards, and they are being mailed at no cost to the recipient. If you receive Medicare, your benefits will not change with your new card. The new cards are much more secure to use. The old cards displayed the beneficiary’s Social Security number (SSN). Identity thieves frequently use SSNs to steal identities, open credit cards or take out loans in someone else’s name. While the new cards do not have SSNs, scammers may use this transition period to try to steal your personal information. Do not give your Medicare number to people you do not know or have not contacted first. 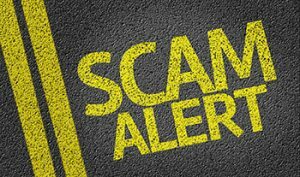 Some scammers call pretending to be from the CMS or Medicare. However, these organizations will NEVER require your personal information in exchange for your Medicare card. Only share your Medicare number with doctors or trusted people who work with Medicare, such as your State Health Insurance Program (SHIP) office. Do not let strangers help complete applications or forms that include personal information. For Medicare questions, including information about the new card, call CMS at 1-800-MEDICARE (1-800-633-4227; TTY: 1-877-486-2048); your State Insurance Department; or your SHIP office.